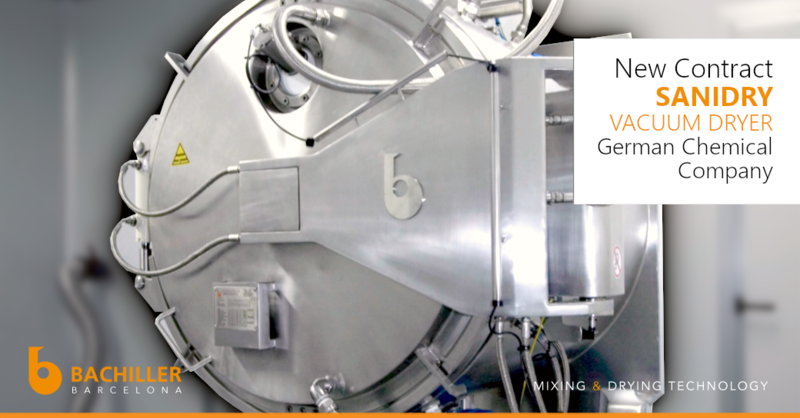 Our partner, Bachiller secures new SaniDry Vacuum Dryer contract in Germany. Here at SepSol we look forward to seeing the first installation in the USA and Canadian markets! Will it be at your company? In July, Bachiller announced, new contract: SANIDRY #VacuumDryer. #Bachiller closed a new contract for the manufacture of a new sanitary paddle vacuum dryer for a #chemicalcompany in #Germany. The SaniDry is a vacuum dryer with sanitary design used for all kind of wet products such as crystals, amorphous or powders, and even pastes. It has a maximized heated area, with a completely heated shell, shaft and blades to maximize the heat exchange ratio, and blades with minimal gap with the warm wall for effective and continuous renewal of the product in contact.